Our 2” & 3” drives are made from 356-T6 aluminum, cast in our own foundry and completely machined in house. Our ongoing quality control ensures that every pulley will be exact in every aspect, as our customers have come to expect. Use our “Competitor Clutch” with these drives. Kits fits 1936-1954 Pan and Knuckle models kick start only. 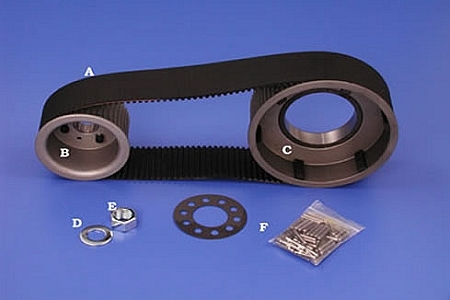 We include a big fix bearing kit with every 2” & 3” belt drive.